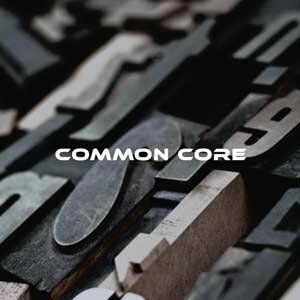 Common core is a K-12 education standard published in the United States for the subject areas of math and english language arts & literacy. It is used commonly in most states across the United States and is typically used to reference learning content in educational products. The standard outlines learning goals that a student should know and attend to at the end of each grade. For more information on the standard please refer to the official website. The standard provides permanent URIs that are incorporated in GBLxAPI vocabulary and should be included in any K-12 educational products used in the United States. Incorporating common core URIs is not a substitute for using the GBLxAPI vocabulary types in GBLxAPI statements that provide worldwide interoperability. Common core URIs are included as context extensions. The standard was reviewed during the research the created the GBLxAPI vocabulary. Common core URIs are published in the GBLxAPI community of practice for public benefit in accordance with the license. © Copyright 2010. National Governors Association Center for Best Practices and Council of Chief State School Officers. All rights reserved.